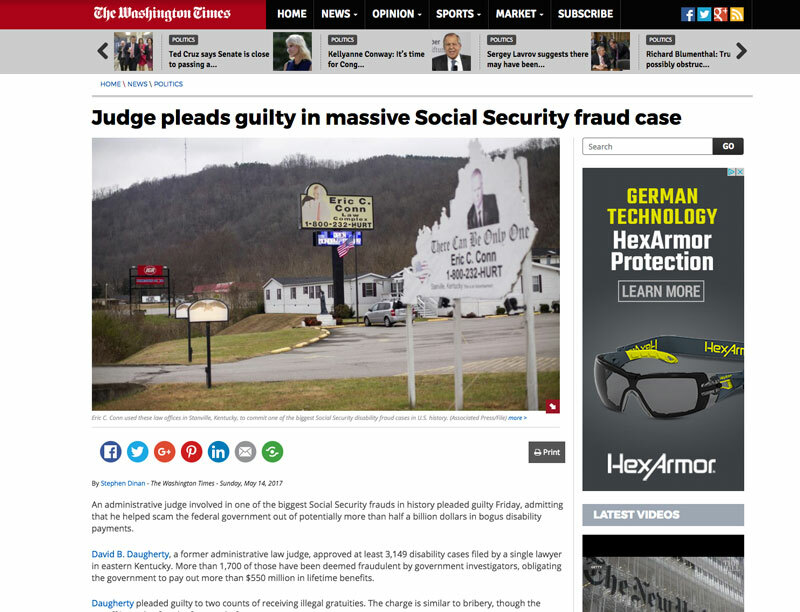 Bribery, dishonesty, greed…what caused a judge to become involved in one of the biggest Social Security frauds in history? Disability fraud appears to be a growing trend. Indeed, Social Security officials testified that they are unable to reach a ballpark estimate for how much fraud actually exists in the disability program. Regrettably, even judges fall into or orchestrate schemes against programs that help those in need, including programs that assist the disabled. For more information about one of the biggest Social Security frauds in history, click on the link below.